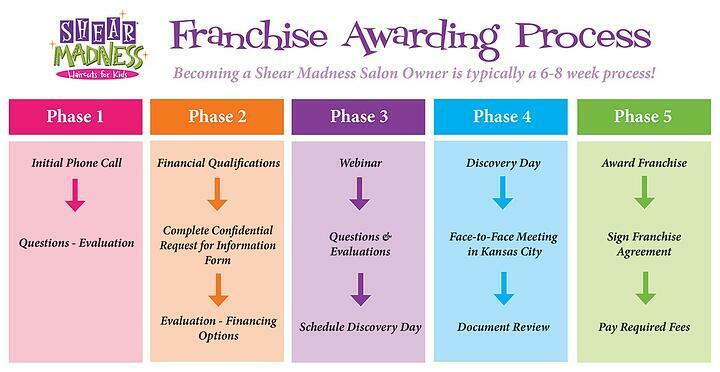 Becoming a Shear Madness Owner is Easier Than You Think! the area that you are interested in - call Jim Otto direct at (913) 706-3753.
the process, you may request our Financial Disclosure Document (FDD). build out, training and the kinds of ongoing support that we offer. Discovery Day - An important part of your due diligence process is coming to Discovery Day. each other. Your success is extremely important to us and so is the success of our brand! you are ready to get started, and we will be with you every step of the way!